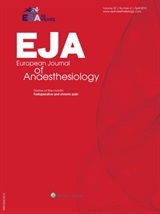 A group of pain researchers in Austria has lost their 2014 paper in the European Journal of Anaesthesiology because one of the authors wasn’t, well, one of the authors. The article, “Intravenous nonopioid analgesic drugs in chronic low back pain patients on chronic opioid treatment: A crossover, randomised, double-blinded, placebo-controlled study,” came from a team at the Medical University Vienna and Evangelical Hospital Vienna. During the study, the authors tested whether intravenous infusions of nonopioid drugs (such as paracetamol, or Tylenol) helped people with chronic back pain who take opioids regularly. They found that people’s pain levels decreased in the days leading up to treatment, when they were receiving a placebo, but not after the actual infusion. The results likely stem from “expectation-related mechanisms,” they wrote. The authors of the 2014 article ‘Intravenous nonopioid analgesic drugs in chronic low back pain patients on chronic opioid treatment: A crossover, randomised, double-blinded, placebo-controlled study’ wish to retract the article as Dr Kozek-Langenecker did not consent to its submission and publication. Kozek-Langenecker told us that she learned about “her” EJA article when she came across it in the issue. The author Gisela Scharbert fabricated my signature on the submission material but never informed me about the submission, the signature, the acceptance, the publication – and above all, about the change in outcome parameters compared to the ethics committee approved project plan. Because of this insult against good scientific practice I would not have given my permission and signature for submission. EJA requires involvement and approval by the authors but in this case my former collaborators circumvented this safety measure. I was the initiator of this and many other studies in collaboration with Scharbert. I moved to another hospital 6 yr. ago to chair a department. So I had no time for publishing the material. Many other interesting data are still waiting at the desk – and I hope that they will [not] be published without my approval. We emailed Scharbert for her side of the story but have not heard back. We also asked EJA editor Martin Tramer for a comment but have also received no reply. For sure this is bad science but so is still not having published a whole lot of interesting data 6 years later because of a new/better job. I believe this is highly unprofessional and unfair for the people who invested their time and effort working on those topics.